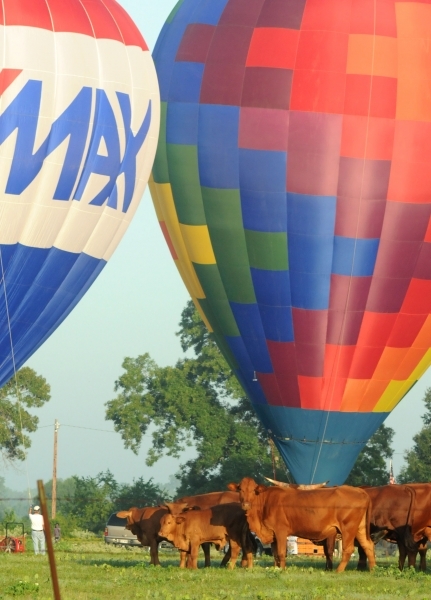 To the delight of many thousands of spectators, once a year U. S. Champions, World Champions and old friends gather together at the Great Texas Balloon Race in Longview to take advantage of one of the oldest forms of air travel. 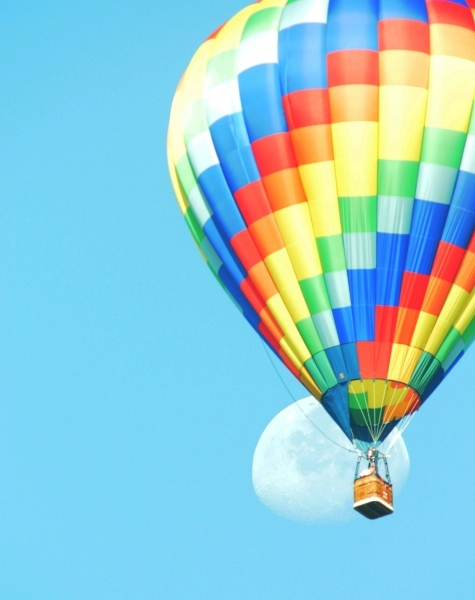 Hot air balloons are everywhere. 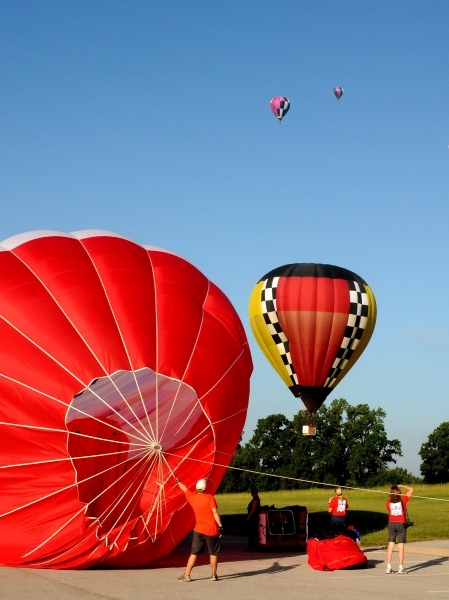 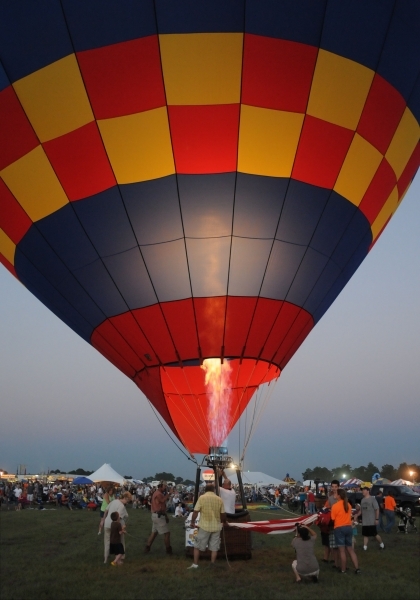 It is a celebration of ballooning that mixes well with vintage aircraft and festival activities later in the day but each day for three days… the balloons reign supreme early in the morning and again as the sun slides below the western horizon. 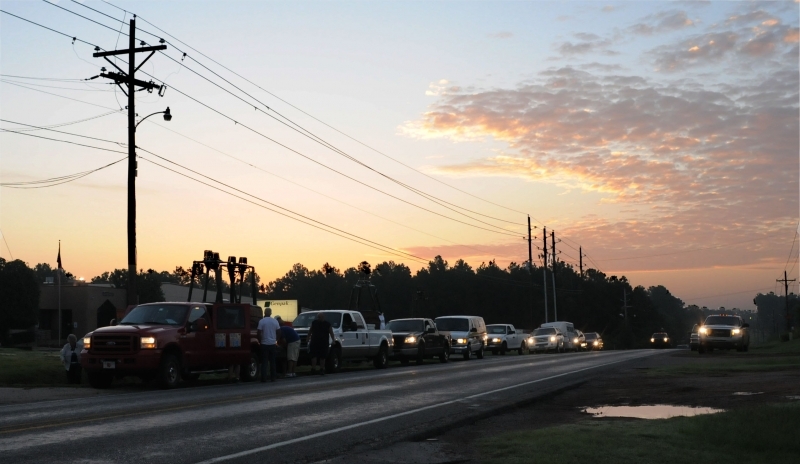 As the sun rose above the horizon Friday morning crews were already lined up on the country roads west of the city, checking their maps and wind directions. 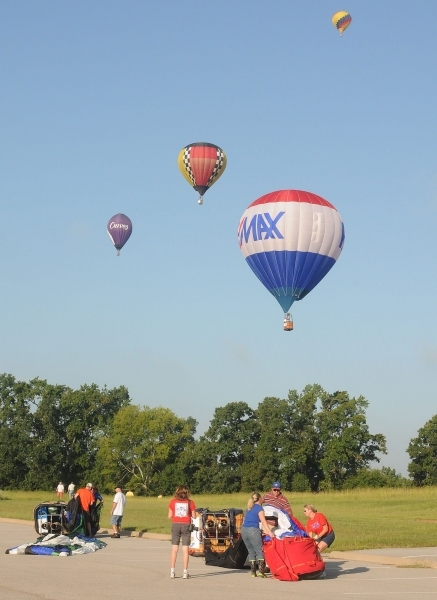 They spread out and we quickly fell in behind a line of vehicles, turning left for a brief adventure on a dead end road that led past an odiferous pig farm… before recovering our senses and settling on a small group of balloonists already spreading their balloons across the grass in a small meadow. 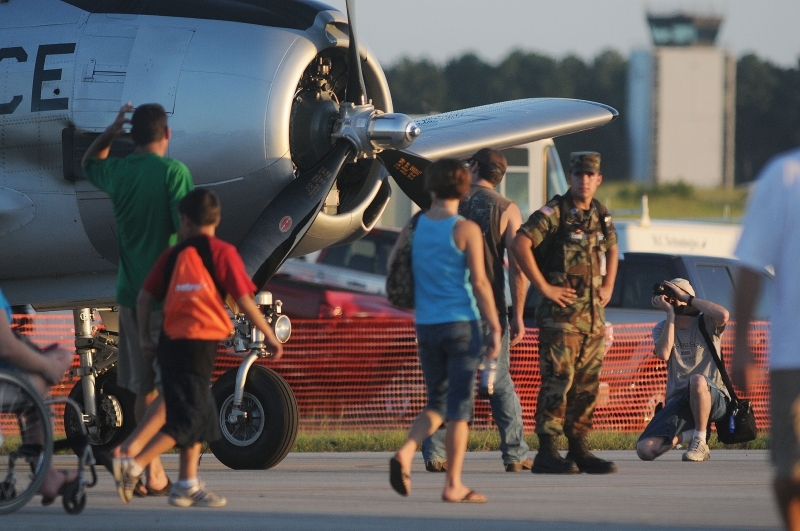 We quickly noticed that crew members could mean anything from youngsters to grandmothers… everyone it seemed had a job to do and it was done quickly. 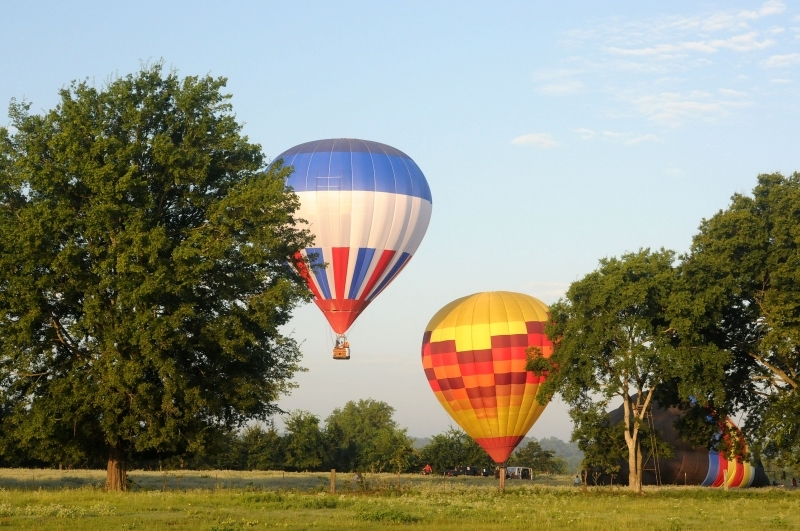 Minutes later, having witnessed the inflation and take off of one balloon, we were off to another location as a growing number of spectators stopped alongside the country roads to watch balloons grow like Brussels sprouts in clusters. 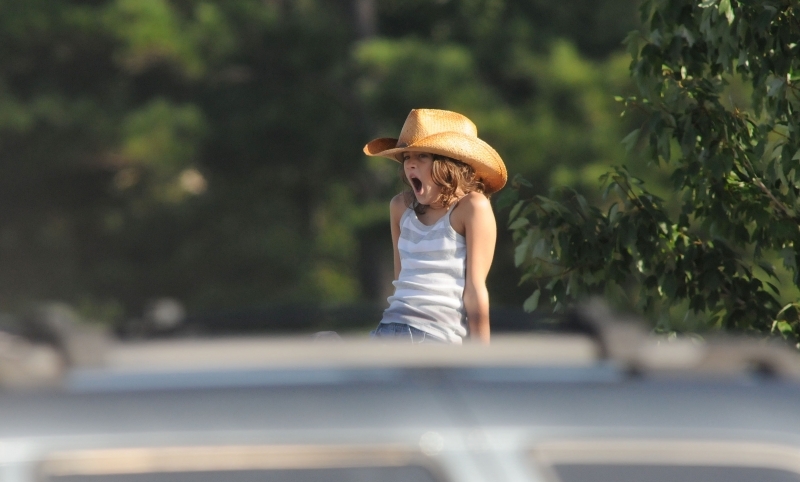 At one location cattle became the disinterested spectators of the moment. 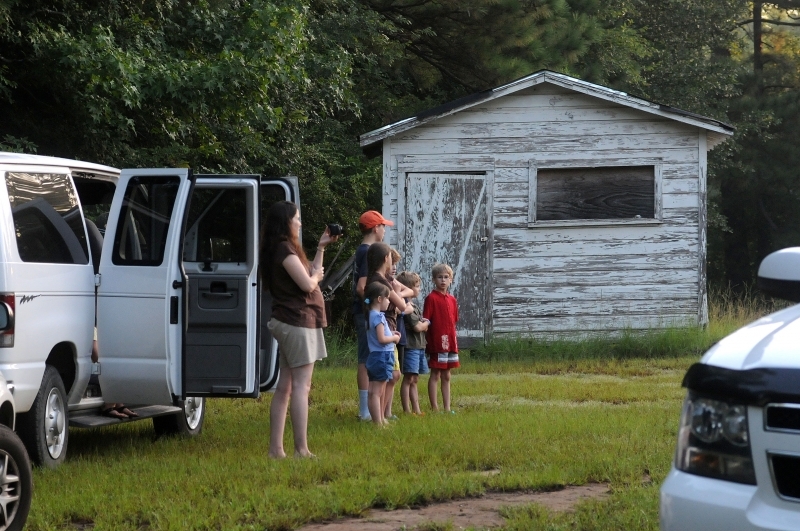 Even a donkey joined the activity at one point as he walked over and stood beside a crew member to watch all the activity. 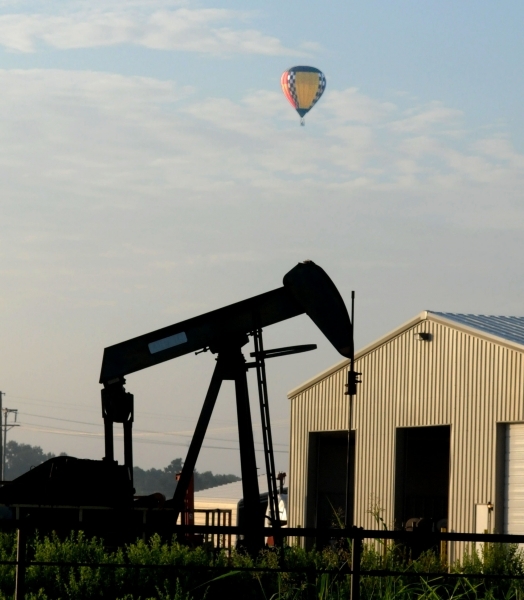 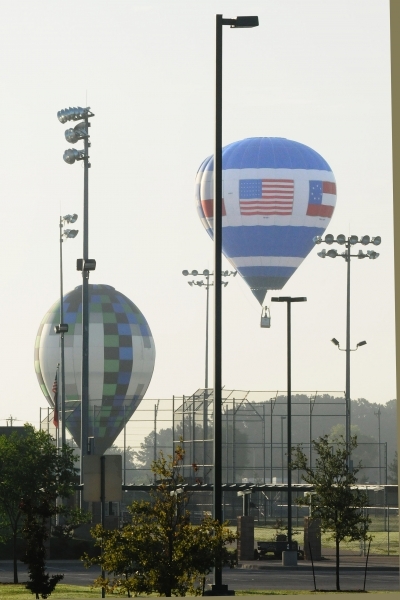 Then one by one they began to lift off, leaving the cattle, oil pumps, ball fields and parking lots behind. 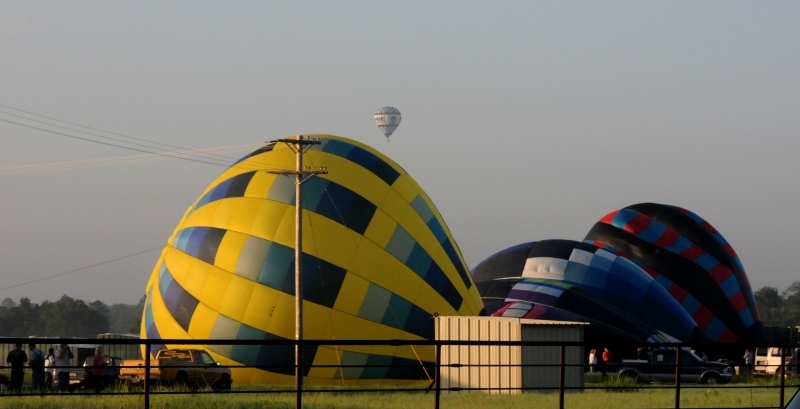 In many cases area residents were just waking up or traveling to work as the balloons began to drift over the city, seeking a place to land. 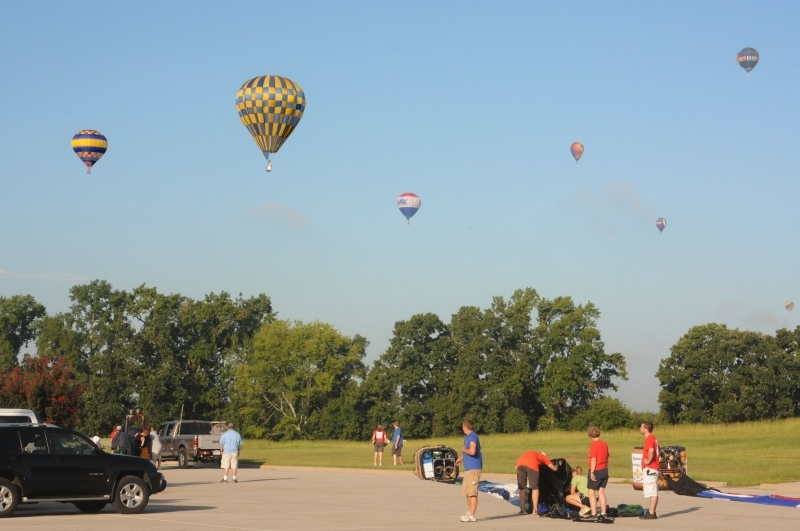 It’s not magic, it just appears to be so to those of us who have never piloted a balloon… but many of the balloons found the same parking lot to land on the East side of the city and in twos and threes they began to descend. 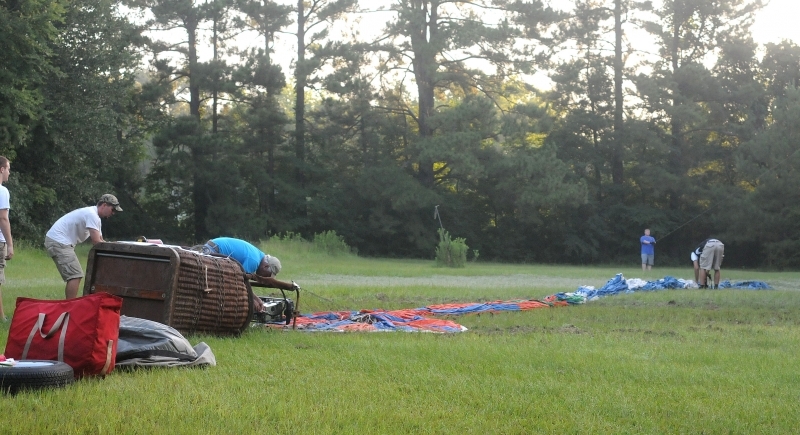 It had taken much of an hour and the first crews to land scurried to pack their equipment to make room for those that trailed them. 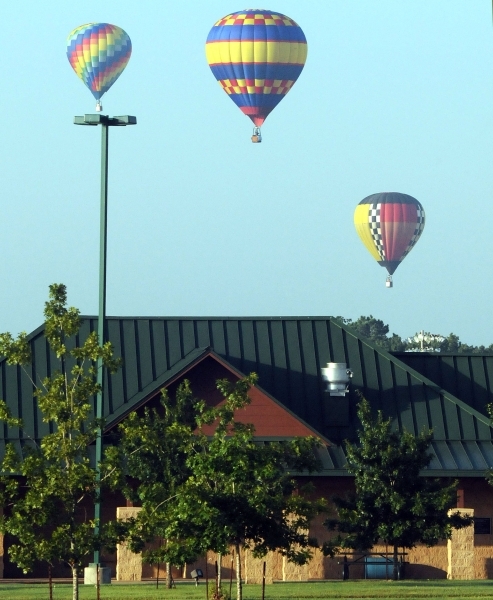 When it got too crowded on the concrete, the approaching balloonists simply landed in nearby fields. 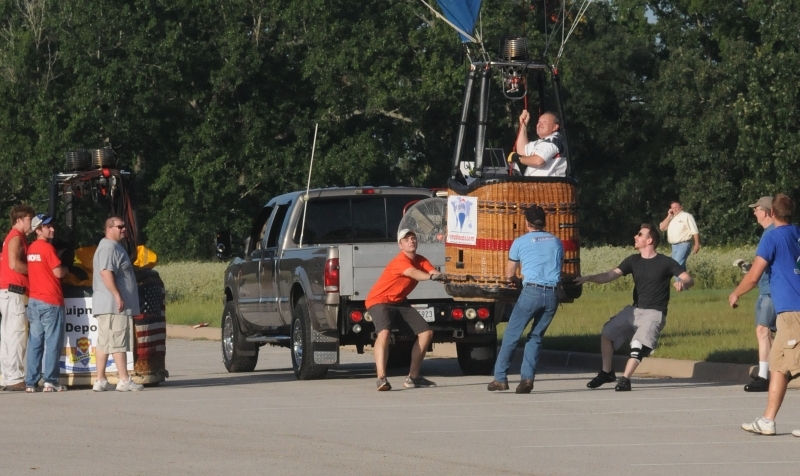 Part two of the days’ happenings takes place at the East Texas Regional Airport south of Interstate 20 and it’s there that the crowds began to form early. 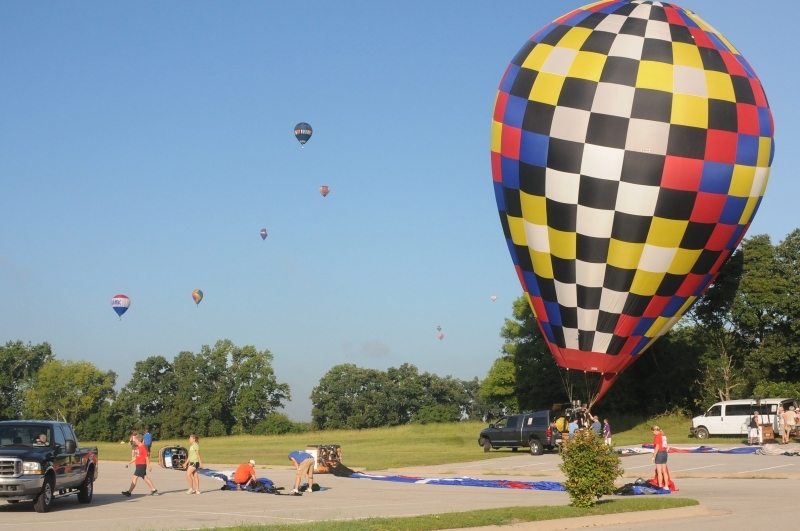 It is known as the longest running hot-air balloon event in the state and organizers swear the founder of the event came up with the idea of a “balloon glow” before anyone else. 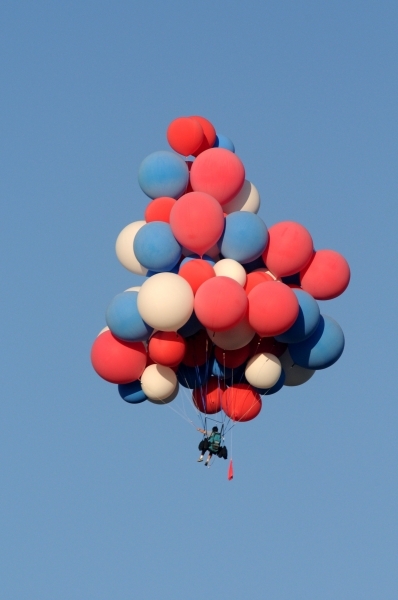 The 2010 event brought John Ninomiya and his cluster balloon flights. 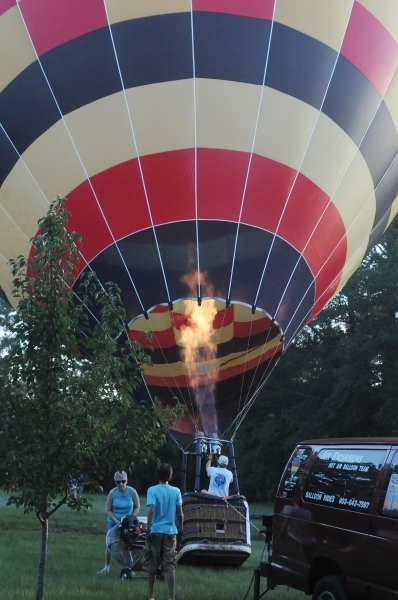 He sat quietly in the shade as volunteer’s filled balloons with helium and a crowd gathered. 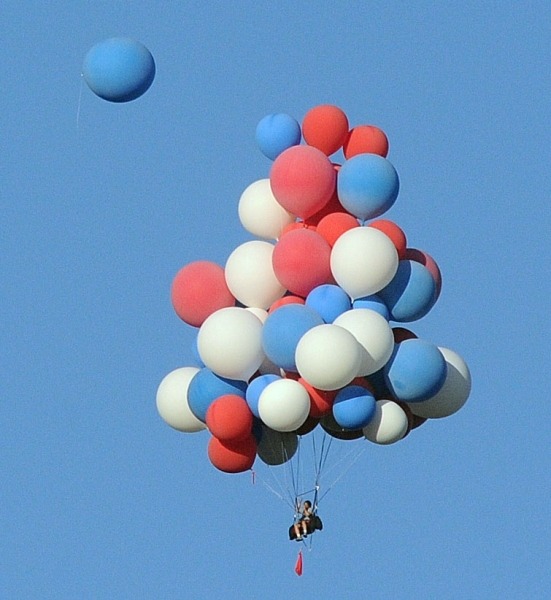 Balloons that burst unexpectedly were a bit disconcerting but a few minutes behind schedule and with thousands watching, he was hooked into his harness and like Robert Browning’s Pied Piper of Hamelin, he began to walk his towering collection of balloons to an open area, followed by the crowd. 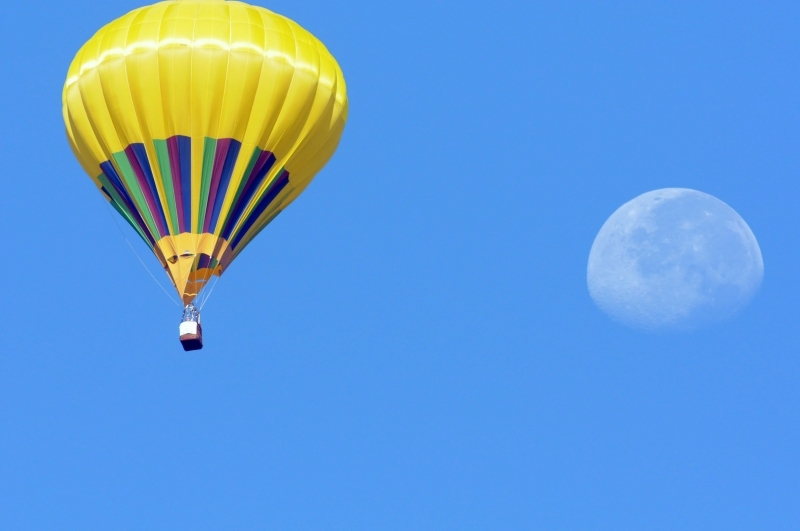 Then he lifted off and with a hot air balloonist in close proximity and a wave to those gathered below, he drifted out of site. 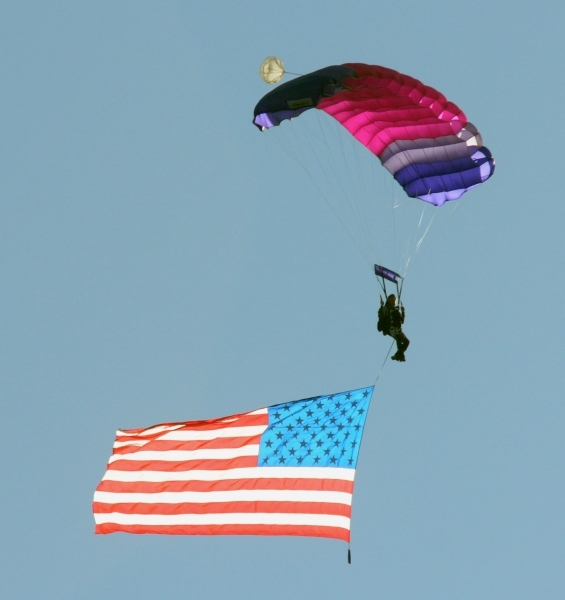 Sky divers carrying flags and vintage aircraft laying down a trail of smoke entertained the crowd as crews began to spread their balloons for the event most of the spectators had come to see… the balloon glow. 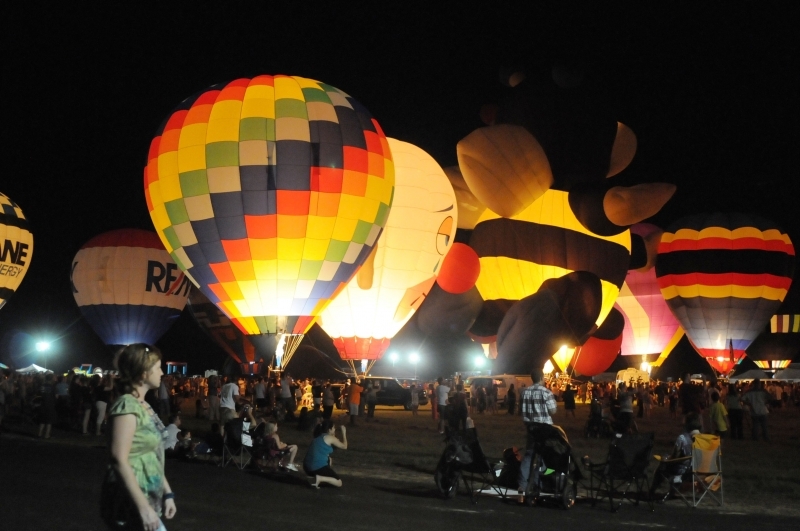 Looking for someone to thank for the balloon glow? 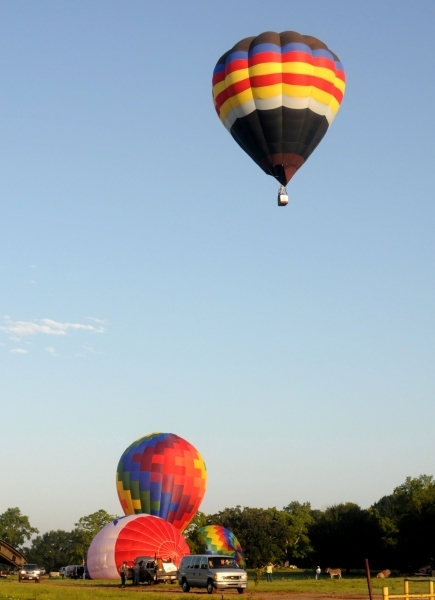 Well, thank Bill Bussey. 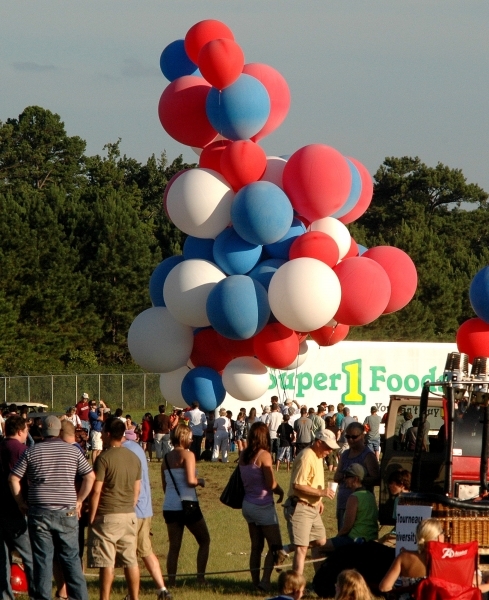 Bill says the idea caught up with him in 1980 when the East Texas balloon event was actually held in the parking lot of the Longview Mall and a "lady who had arrived late" (and seeing the balloons fly away) "asked me when they would be coming back?" 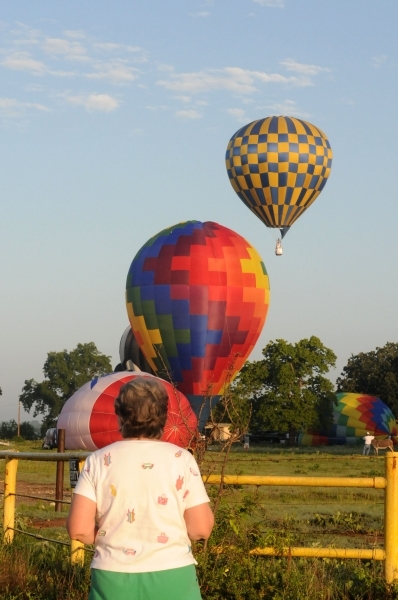 When he explained they wouldn't be coming back, she offered the thought that "you ought to bring them back" and the rest is history as far as the balloon glow idea. 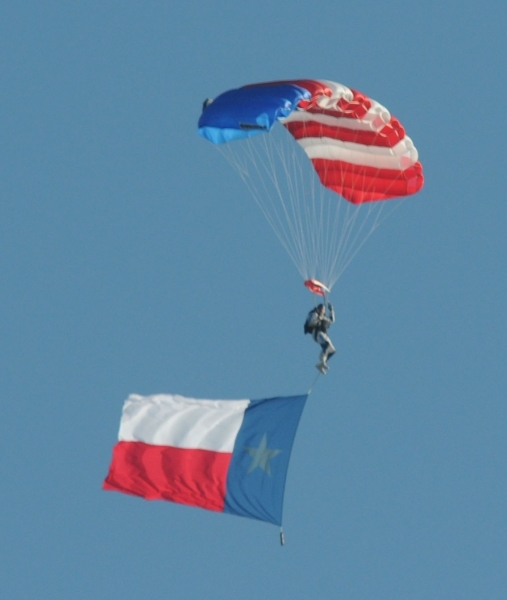 "So that is what I did," he says now. 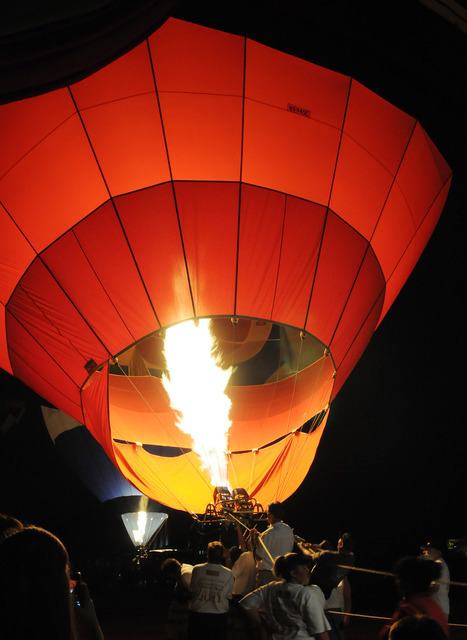 In 1981, at night, he brought them back and they called it a "balloon glow" and it "has been a staple of our event since then," he said. 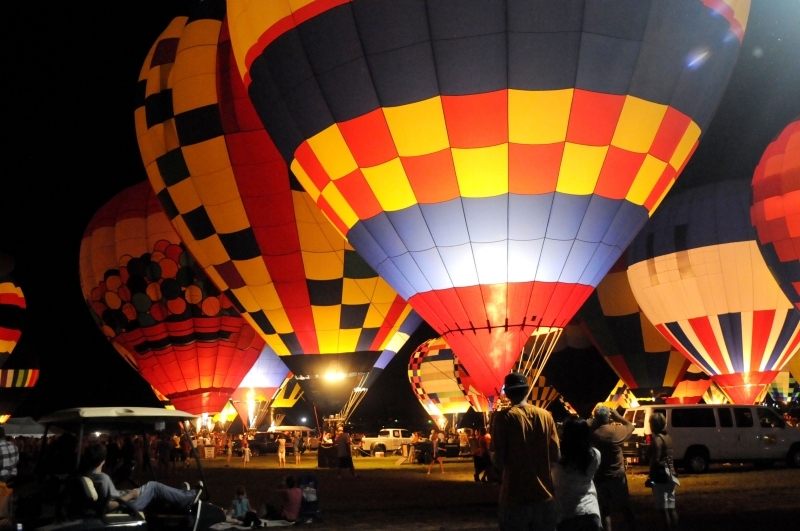 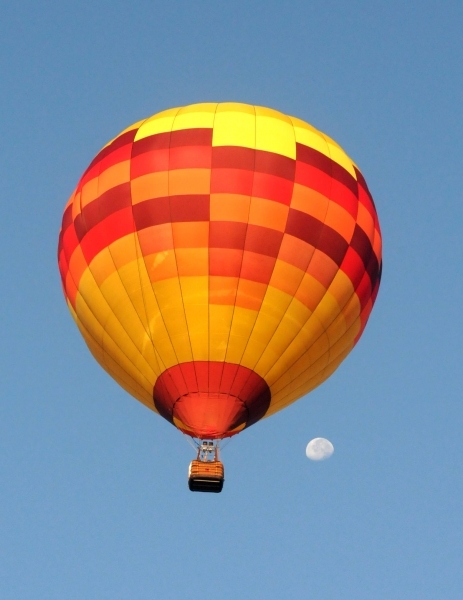 While there are those in a nearby state who like to think they had a balloon glow first, Bussey is happy to point out that the Albuquerque International Balloon Festival had its first balloon glow in 1986, a full five years after Longview, Texas. 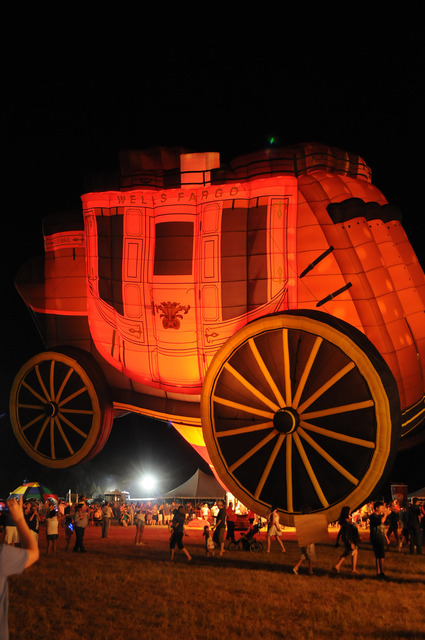 Today Bussey's parking lot invention from 1981 is part of balloon festivals around the world and where ever they are, they are spectacular. 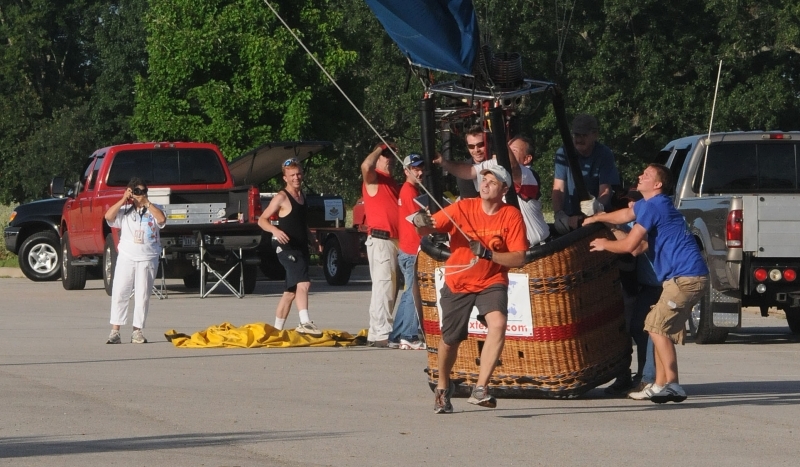 The winner of the 2010 GTBR was Nick Donner of Fisherville, Kentucky. 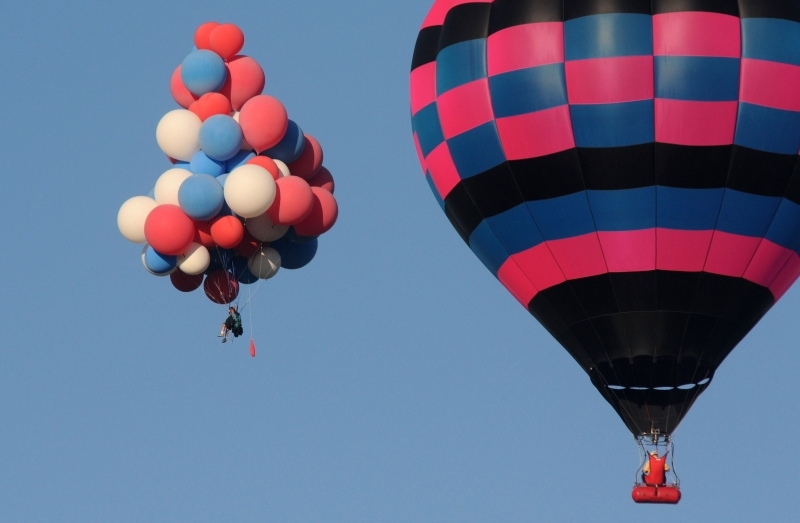 Editors Note: Those who recognize balloons we have not identified are invited to send us the correct information and we will add the names to the caption information as we receive it.